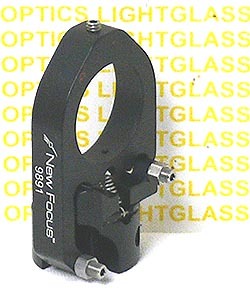 The New Focus 9891 1" Flipper Mount allows you to set the optimum tip/tilt position of your optic, then to easily flip it in and out of the beam path. Its Kinematic design allows repeatability of 200-microrads. The bottom of this mount is tapped with an 8-32 hole for easy mounting.